Shareholding in Appleblossom Holdings, holding company for Galloway European Coachlines and Galloway Coach Travel of Mendlesham, Suffolk has changed with effect from 1 January 2019. Industry entrepreneur, Bill Hiron, together with Gary Raven of Barrons Chartered Accountants have taken a 75% shareholding in the business, alongside David Cattermole the long-standing Managing Director who retains the remaining equity. Although Bill Hiron is a Director of Stephensons of Essex, the company has no interests in the new acquisition and this is a personal investment. 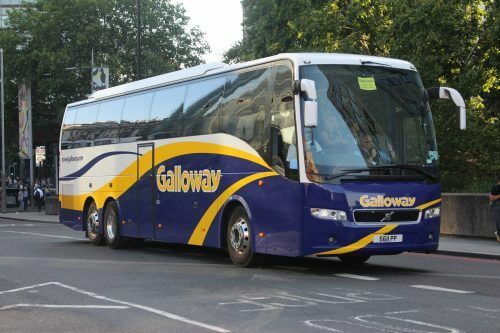 Galloway runs a large fleet of coaches across the UK and Europe. Local bus services and National Express contracts are also operated.